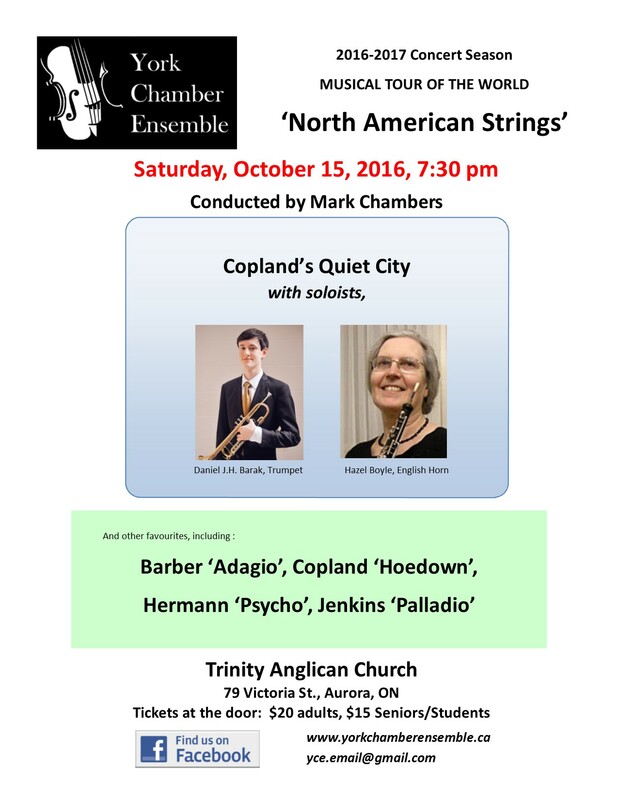 Please join us as we begin our musical tour starting in Canada & the USA conducted by our guest conductor Mark Chambers. Enjoy Karl Jenkin’s “Palladio” — remember the diamond commercial? The shower scene from “Pyscho” by Bernhard Hermann. And everyone loves a “Hoe Down”! – composer Aaron Copland.